On Sundays I used to blog about my weekly workouts. It was a great way to keep me accountable of my training but there really isn't that much to report these days. I have been a bit preoccupied and have really tried to rest my feet due to my plantar fasciitis. I am hoping this will start changing and I am hoping I will go back to blogging about my workouts so that I can keep motivating myself. This week I got two runs in and it felt great. Minimal to no pain which is pretty much a miracle these days! 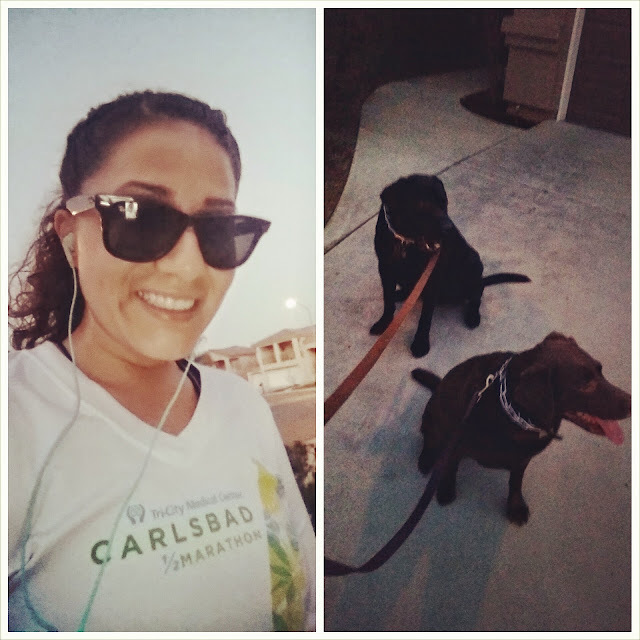 On Monday I got a quick six mile run with my running partner and another co-worker. We went to my favorite park of course. I was super excited to head back to my park since I hadn't really ran there in a few weeks. Nothing had changed other than there was more grass due to some rain we had received the past few weeks. I was more than anything proud of my co-worker since she has improved so much! 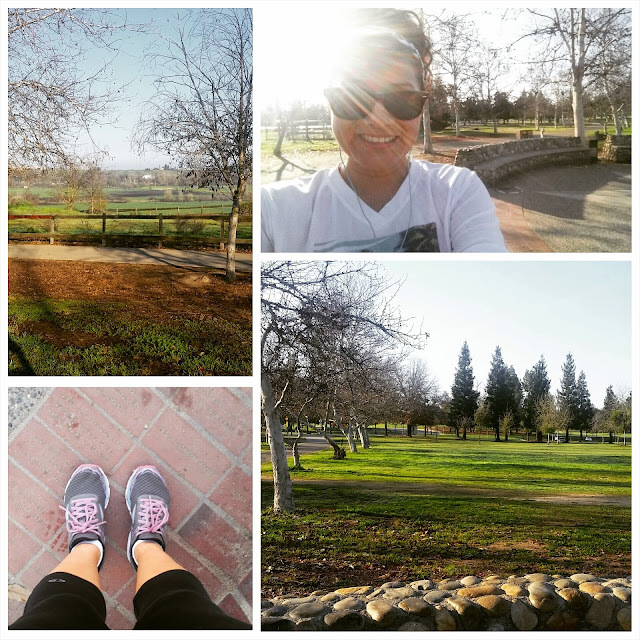 In November, she made a goal to get back to running and eat healthier and she is doing great. Couldn't be happier for her. I have been scared to run mostly because I just don't want my plantar fasciitis to get worse. Luckily I barely felt any pain on that run. I am hoping it's a good sign that things are getting better. When I move, I will no longer have my physical therapist so I told him my feet needed to be fixed by the time I left. No pressure right?? Then on Friday I got a real short run in with my doggies. I just ran around my neighborhood but they were as happy as can be pulling me along and wagging their little tails. My ankle actually hurt a bit but it got better the more I ran. Since going to PT, I have noticed that my ankles are extremely weak. This stems from a soccer injury in high school. I tore some ligaments in my ankle and then my other ankle compensated and ended up getting weak also. I can't even remember which ankle was the one I tore ligaments on since they both are equally weak. I am just a bit broken but I am still hopeful. 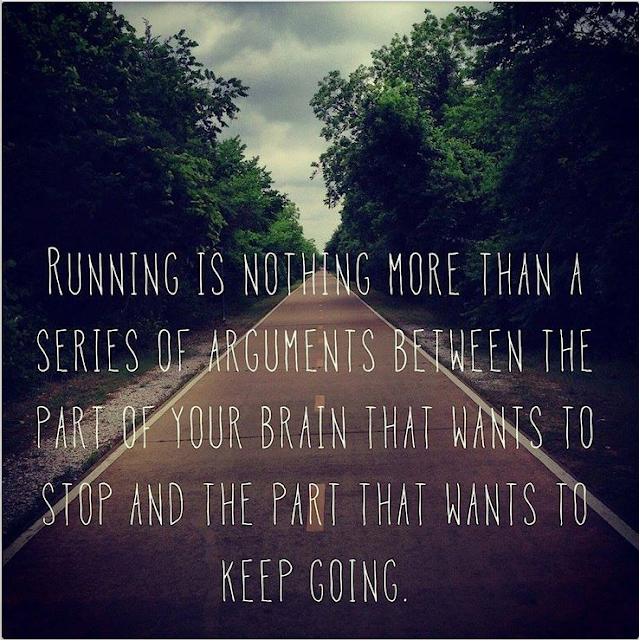 I love running. It is my workout of choice. I am not a size 0 nor do I have legs of a gazelle but running is what makes me happy. I am not fast but I get out there and do the best that my body can do. If I wasn't injured I would be piling on more miles but of course I can't do that right now. I do however have a race coming up in a week. I am both scared and excited for it. Scared because I have done no real training since my last race and I don't know how my feet will handle it. Excited because it is a race after all and I get to run. I may not PR but I will make the most of it. Slowly but surely I am staring to get back on track. I love that first quote - and it's SO true! Your doggies are adorable. Might I suggest Feetures Plantar Fascitis sleeves? While my foot injury was a little different they helped SO much! You'll get there! 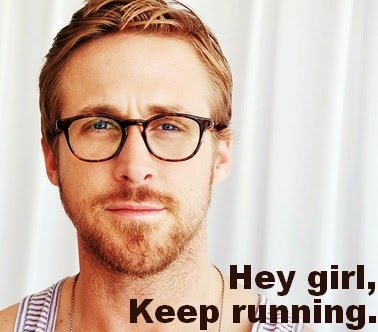 That photo/quote expresses my thoughts exactly, with every run :P. Hope your PF continues to get better!! Your dog's happiness is not something you should take for granted. Dogs are aware, sentient beings that CBD oil for dogs a number of things in order to be content and to enjoy life. It focuses on diet, nutrition, buy salvia yoga, meditation, stress reduction and positive thinking techniques. It provides specific visualizations that help balance, conserve and build up a person's energy for prevention and wellness.